Summer is almost here and kids get to express their style around town. They just want to be comfortable doing it! 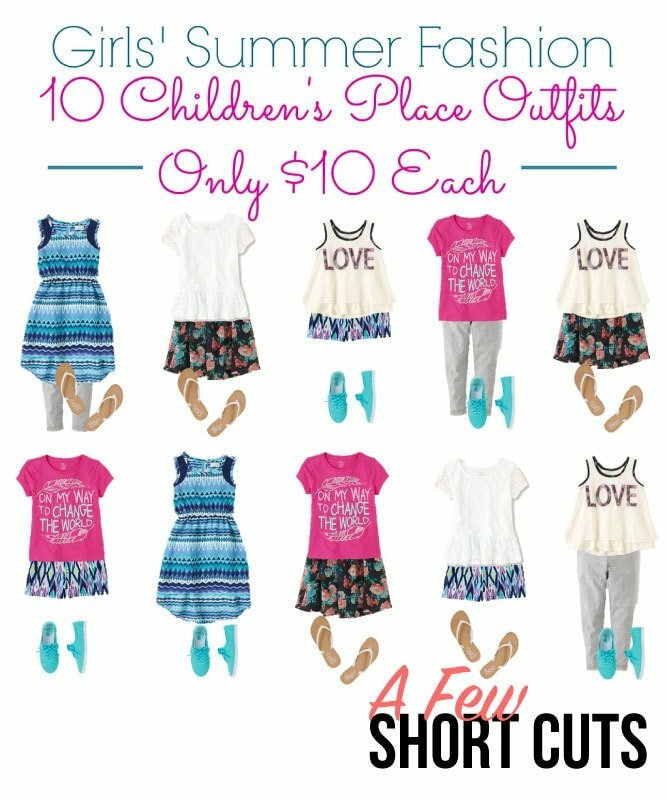 Check out these 10 Great Children’s Place Gifts Summer Fashion Outfits for only $10 Each. Snag and entire mix & match wardrobe for just $102.54 shipped…including shoes! The total for all 9 pieces comes to $128.17. Use code SAVE3 through 5/9 to save 20% off = $102.54 or only $10.25 per outfit. Hi! I love all your outfit ideas! Do you have outfit ideas for women for this summer? And where to buy?